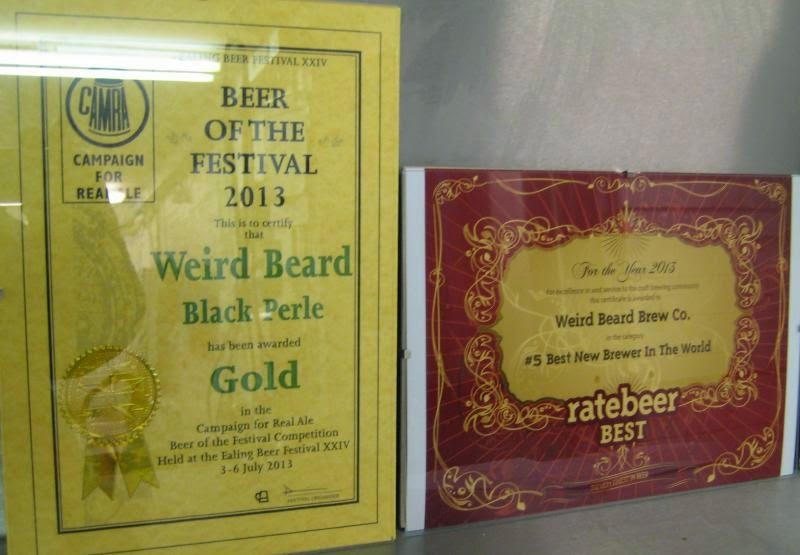 Rated as the 5th best new brewery of 2013 globally by Ratebeer users, Weird Beard remains a dark horse to many. Based in West London – Hanwell to be accurate – it's away from crafty hotbeds such as Bermondsey or Tottenham, and some might say it's all the better for that. With the tagline “Never knowingly under-hopped” it's one of those breweries whose fans are hard-core, yet many beer lovers may never have tried their beers. 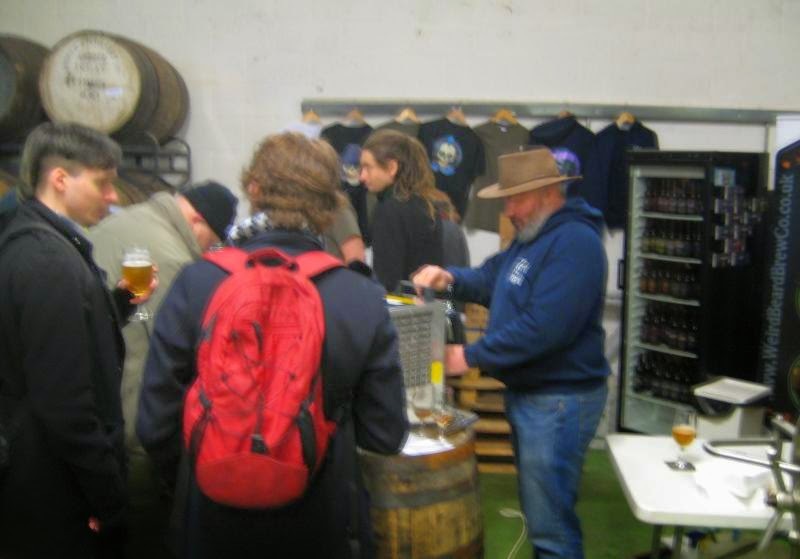 Having first met WB's Gregg and Bryan two or three years ago when they were home-brewers looking to go pro, giving away samples at the Egham beer festival to test the market, the Ratebeer award was little surprise to me. These guys know how to produce striking and interesting, yet very drinkable beers. So we kept in touch, and I was delighted when they finally found a suitable site for their brewery, and even more so when their beers started appearing in my local, the Magpie & Crown. However, until last Friday I hadn't actually seen the new brewery. Being on an industrial estate next to the canal at the end of a no-through-road, they're not in an area that encourages Bermondsey-style drop-in brewery bars, and for much the same reason they prefer to do their off-sales via local shops. Then I learnt they were having a couple of open days, and given that Hanwell is just a hop and a skip away, I jumped on my bike. It's a 10-barrel plant (originally shared with Ellenbergs, who they subsequently bought out), and it's grown from two to four then six 10-barrel fermenters, and they have now even outgrown those. 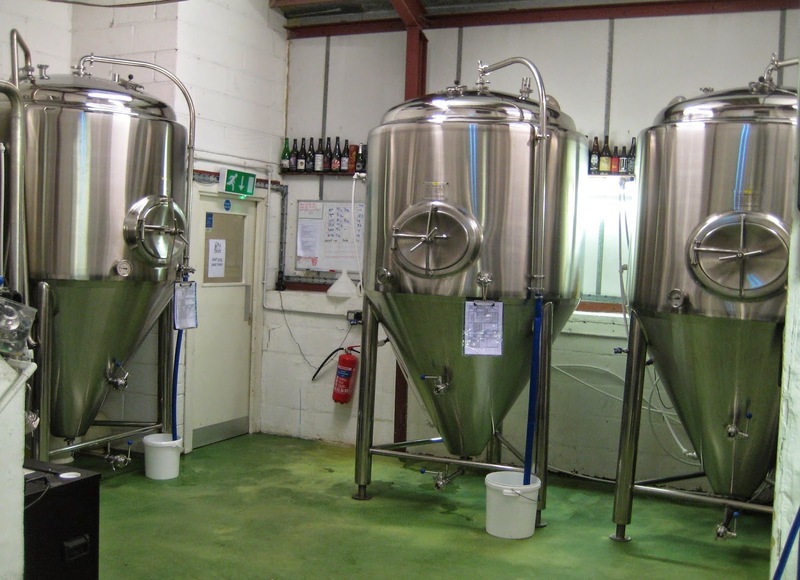 Two more fermenters are waiting to be plumbed in, and these are 20-barrel ones intended to take double-brews of what have become the regular beers – a list that includes Mariana Trench, Black Perle, Kentish Town BearD and Decadence Stout. Gregg says Faceless Spreadsheet Ninja will join the regular roster from January. 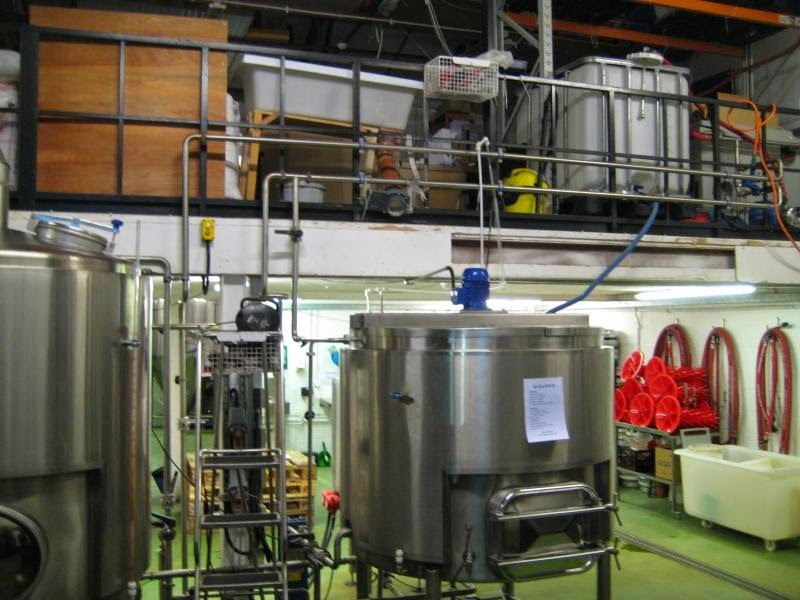 And as well as acquiring more equipment, they've been taking on staff – they're currently recruiting for another brewer. Faceless Spreadsheet Ninja is based on German Pilsner but with the addition of flavoursome hops – Citra in this case (it's largely based on an earlier trial brew called Citra Pilsner). It maddens me that German Pils is so samey – all using the same few boring hop varieties, and all just hopped for bitterness and aroma, not flavour. This just shows what Pils can be when brewed with imagination (and flavour!). Originally brewed in collaboration with Brewdog's Camden bar and described as American Wheat Ale, Kentish Town Beard is what I think of as Hopfenweisse – a Weissbier or Weizen, massively hopped up. It's dank and hopsacky, with bitter orange and herby notes. Decadence stout is rich, dark and chocolatey, with a fresh hoppy bite. Chewy and dry yet creamy, it slips down oh so easily. Holy Hoppin' Hell – batch 5 in this case, with Centennial hops – is one of their show-off beers. It's a hop-bomb of a double IPA, brewed the same each time but with different hops, Yes, it's bitter, but think hoppy aromas and flavours – in this case pineapple, plus some pine and mandarin, and what I identified as faint notes of aniseed and thyme. I'd a good catch-up with Gregg. He tells me that while most is key-kegged or bottled, they are still committed to also offering those beers that suit it in cask. 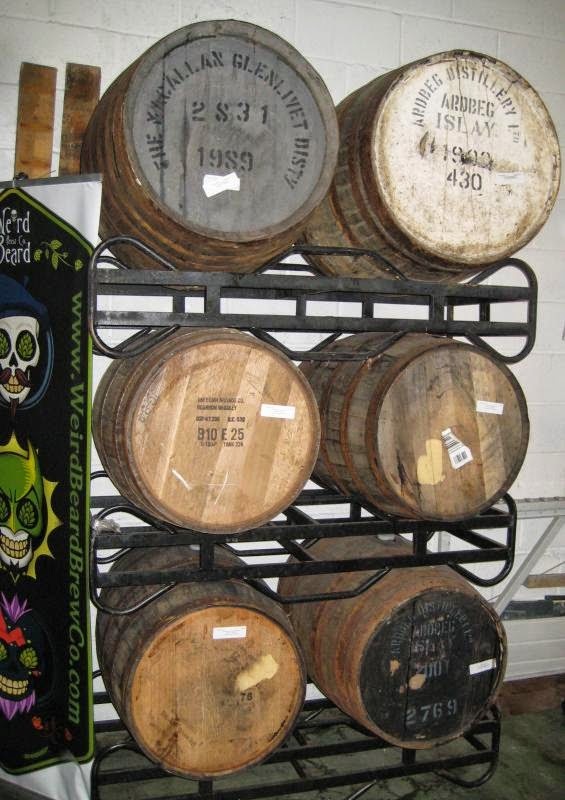 They will only send casks to pubs they know can look after it and serve it on top form though – as well as the M&C, this list includes the Harp in Covent Garden, which he said is now their main cask outlet. A couple of other snippets of news included that keg Decadence is going into the Craft Beer Company pubs from January, that they're going to experiment with canning a few of the beers, and that the session IPA Little Things that Kill is unfortunately going out of production. 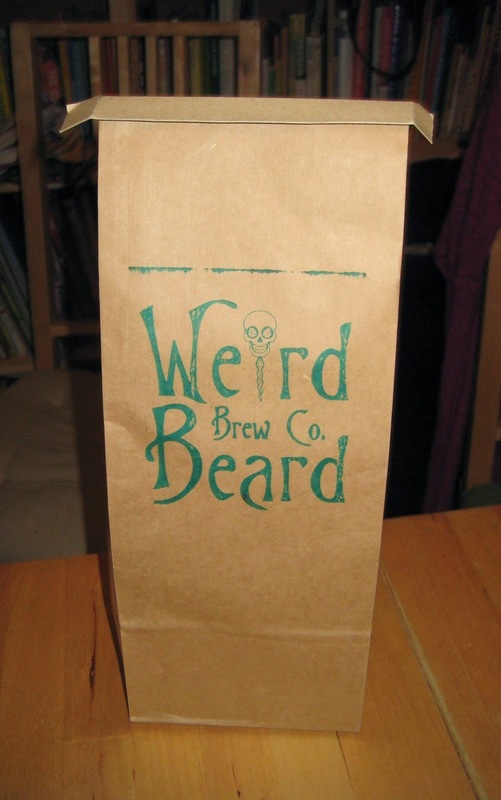 Apparently they could ferment it out, package it, deliver it – and then it would start going again. Its effective shelf-life was so short that some batches had unsustainable return rates. Shame.